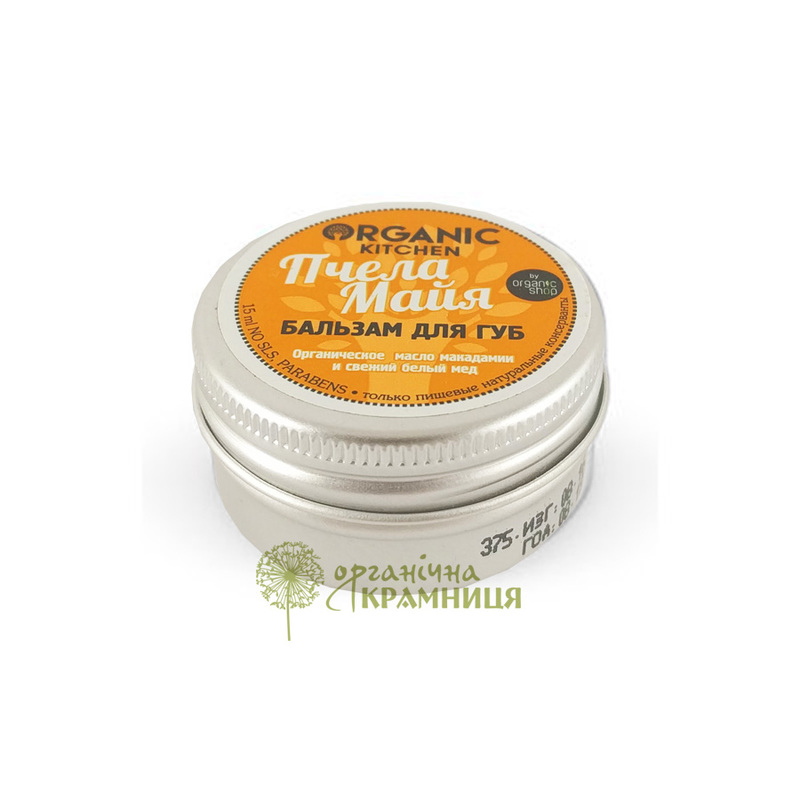 Maya the Bee Lip Balm is produced by the Russian beauty brand Organic Shop for its Organic Kitchen series. It is designed to take care of your lips all year round. The product is formulated with organic madacamia oil and fresh white honey. It deeply nourishes and moisturises the lips, protects them against harsh winds and cold temperatures, prevents chapped lips and irritation. Paraben free. Organic macadamia oil contained in the lip balm is known for its pronounced rejuvenating properties. It stimulates skin regeneration, helps to make the lips soft and supple, nourishes and moisturises them. Fresh white honey is a rich source of vitamins and other nutrients, it deeply nourishes the skin of your lips and makes it smooth. The effect of macadamia oil and honey is enhanced by a blend of vegetable oils including shea butter, sea buckthorn oil, olive oil and cocoa butter. They provide the lips with essential fatty acids and other nutrients, moisturise and soften them. Vitamin E contained in the product has an antioxidant effect and protective properties. Maya the Bee Lip Balm is enriched with beeswax known for its pronounced anti-inflammatory and antiseptic properties. It protects the lips against harmful environmental factors and accelerates the healing of microcracks. Directions. Apply onto lips when heeded. Ingredients. Butyrospermum Parkii Butter, Macadamia Ternifolia Seed Oil, Theobroma Cacao Seed Butter, Cera Alba, Ricinus Communis Seed Oil, Mel, Hippophae Rhamnoides Fruit Oil, Olea Europaea Fruit Oil, Tocopheryl Acetate, Aroma. Want to buy Maya the Bee Lip Balm? Call us or submit your order via our web site!